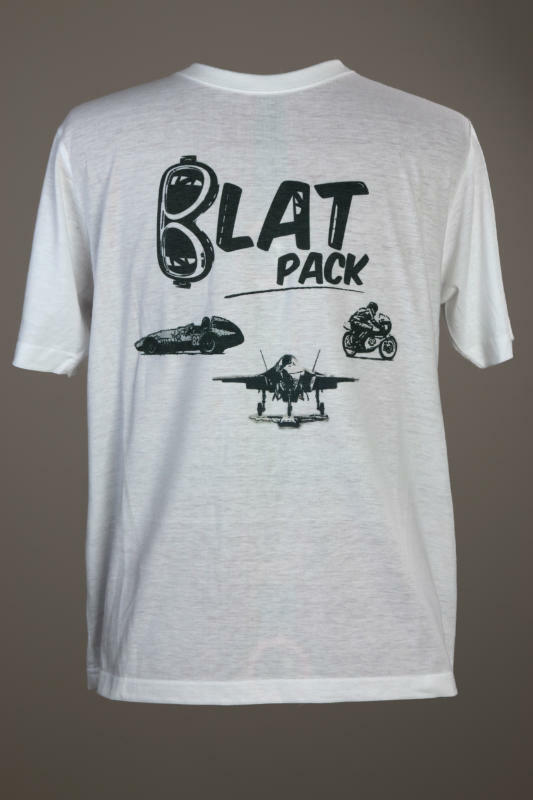 On two wheels four wheels or with the afterburners lit - show the world your love of the Blat in a Blat Pack logo t-shirt. The design is a great piece of art and looks fantastic. The shirt is a 160 GSM 100% Combed Ringspun Cotton shirt that offers extreme comfort and wearability.